Analyn Cauinian is the Visa Services Manager of Kittelson & Carpo Consulting. 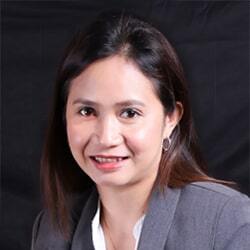 She has over 12 years of experience in assisting foreign nationals on their visa applications and immigration-related engagements with the Bureau of Immigration (BI), Department of Labor and Employment (DOLE), and other government agencies that regulate the entry and duration of stay of foreigners in the Philippines. She supervises a growing team of visa specialists and consultants in helping foreigners identify and acquire the proper type of visa they need to legally enter or stay in the Philippines. Her years of experience have equipped her with a wealth of knowledge on securing compliance with immigration requirements, identifying possible red flags, and developing contingency plans to ensure completion of visa application. She has handled volume engagements for both multinational companies and small-and-medium enterprises (SMEs) in multiple industries, with a special focus on the industries of Information Technology – Business Process Outsourcing (IT-BPO), Online Gaming, Construction and Engineering, Manufacturing, and Healthcare. Before working for K&C, Analyn was a Visas Document Specialist for 4 years in a Korean consulting firm that provides student visa application assistance to Korean nationals. She was responsible for the documentation and recordkeeping of application requirements, mainly handling special study permits, student visas, student visa extensions, tourist visas, and other related visas.